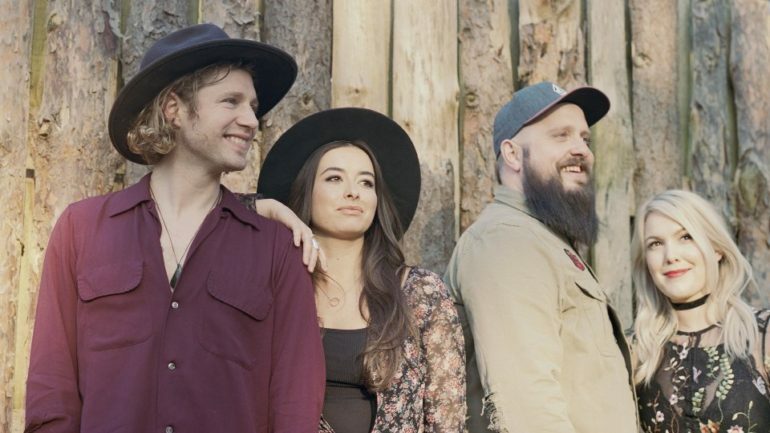 Their biggest headline shows to date, The Wandering Hearts have had nothing but raving reports from their almost completely sold out tour which they are currently on. Chess, Tara, Tim and AJ who make up The Wandering Hearts have had such an impressive couple of years. 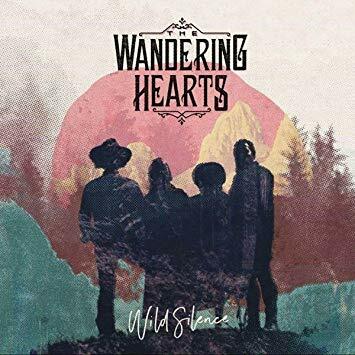 Since releasing their debut album Wild Silence earlier this year, the band have spent most of their days working, whether that be touring, writing or heading over to Nashville to play The Opry, Ryman and more with the likes of Marty Stuart, Chris Stapelton and other high calibre artists. 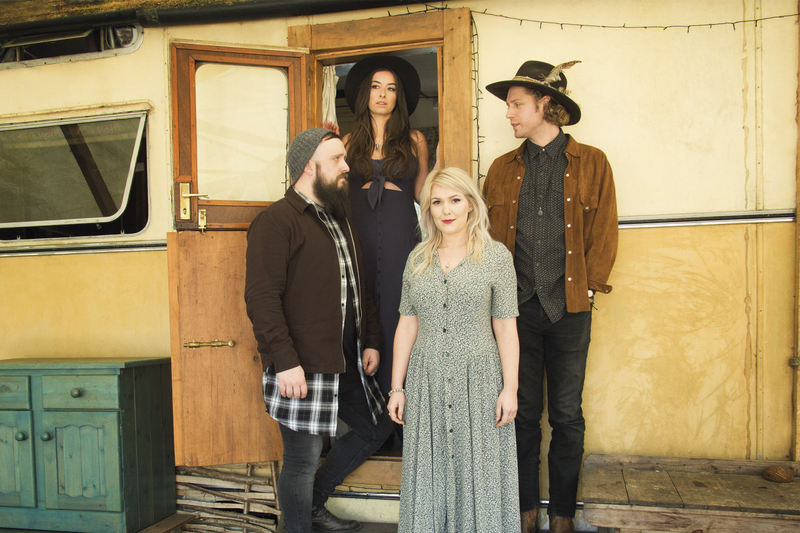 As well as an impressive “live music” resumé overseas, The Wandering Hearts have also played a large number of UK festivals including the inaugural Black Deer & Long Road Festivals, C2C Festival, a headline set at Buckle and Boots and a second year at British Summer Time – Hyde Park supporting Eric Clapton. 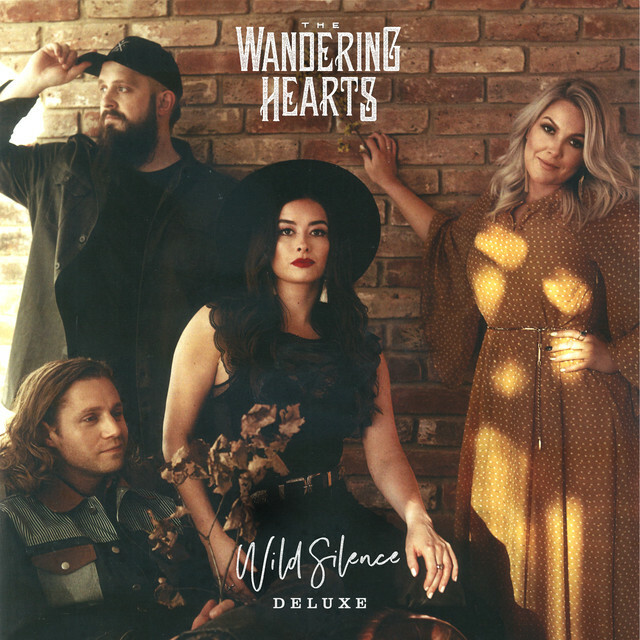 With a deluxe version of their exceptional album Wild Silence just announced, The Wandering Hearts are currently touring the UK with support from Fiona Bevan and Ruston Kelly on, as mentioned above, their biggest headline shows yet. 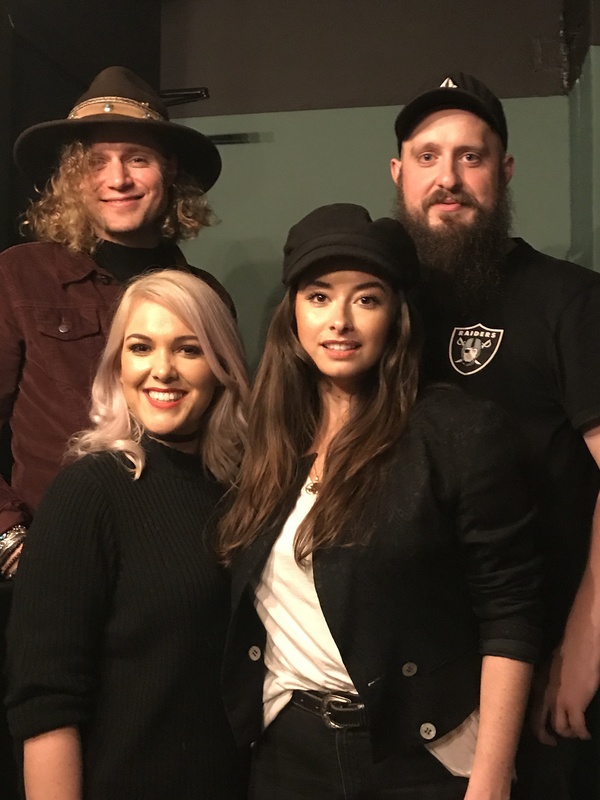 We caught up with three of The Wandering Hearts (Chess, AJ and Tim) to discuss the tour, new music, what their band nicknames would be, Christmas and more. Hi guys – how are you? How has the tour been? Chess : It has been really great, really great fun, we have really enjoyed it. We played Bath on the first night in a beautiful old theatre (The Komedia) that was a gorgeous venue. Brighton was a lot of fun too. Tim: Bit of a dirty rock club that one (Brighton), it was great. Down in the basement, proper old school gigging. Feet sticking to the floor and all that? Chess: It has been amazing to see so many people who have bought tickets and are coming to see just us, it has been astounding. Everyone seems to be loving it and we are having the best time. Each night we have been looking forward to doing it again so it is going to be quite sad when it’s over. Any stand out moments yet? Tim: I think hearing the support acts for the first time is always an amazing moment, be that in sound check or the first show in Bath (the first show). It is always really exciting to hear what they are bringing to the tour. It is literally just them and their guitar and they mix it up every show so we are really getting to know their music at every gig. We are very lucky to have them out there with us. Chess: It is so nice because it doesn’t feel like they are on their own supporting us, I feel like together we have a show. We have Fiona Bevan and Ruston Kelly who are both incredible in their own right so to have them on the road with us has been great. We have had comments from people saying; “You have some great support acts”. It fees like three headline acts in one. Ruston’s album is great and he seems like a great guy. Is he a laugh on the road? Chess: He is a lot of fun. Tim: He has the best games that we play in the van but I obviously can’t repeat them here haha but they are so good. Do you still get nervous when you perform or now that this is a headline tour and you know everyone is here to see you, does it just turn to excitement? AJ: Personally yeah, every single time I get nervous. There’s a funny point in a gig where that crosses over with what you’re getting back from the audience and the enjoyment you get from doing what you are doing – there’s a sweet spot in the middle where they all meet and you can have a really great gig. That is kind of what we are looking for every time we go on stage but yeah, always nervous. There is so much to think about and remember and you don’t want to get anything wrong. It’s quite high pressure I suppose but incredibly rewarding. Has anything ever happened like forgetting your words on stage? Tim: Oh all the time yeah haha every night. Chess: I think it was in Exeter where somebody was filming right in the front row. Honestly it was so close to my face and they were just filming me. For some reason I sang Arr instead of I and for some reason it turned into an Arrrr IIII. You can’t really tell but I get so zoned into listening to everyone else that I lose where I am and when I lose where I am I kind of trip over myself a little bit haha. AJ: The worst thing you can do is to think about what you are doing. We trust so much to go out there and let it happen but the moment you think about it you are like “What is the next line?” And then it goes and you start panicking about it. I like it when it goes wrong sometimes as it makes the night more relaxed and you feel more connected. Chess: Yeah it makes it real doesn’t it? The one thing about being in a band is that most of the time you can cover it because most people are singing at the same time. Tim: The other thing about being in a band is that the other three will mock you for days afterwards if you do something wrong. Well if you do get caught doing the arrr iii bit again, just say it’s national pirate day. What do you guys have on your rider? Chess: We actually mainly just have alcohol. AJ is just bringing something out from his rider…. Chess: One thing that we have come accustomed to is a pickle back, I don’t know if you know what a pickle back is? Chess: You do a shot of, what is it? AJ: like American Whiskey or Bourbon. Then you shot that and then drink a shot of pickle juice and then you can eat a pickle. AJ: I have just made some. Chess: AJ has just pulled out of his bag a huge Tupperware of homemade pickle juice. AJ: We do get through it really quick. Chess: So that’s a bit of a new thing we have started doing but mainly our rider is Gin and Bourbon. On the last tour we ended up wasting so much food because we had this huge rider of all this stuff which ended up just being wasted so we decided to just strip it right back and just have what we need. AJ: Like pickle juice, that’s all we need. Tell us about some of the new songs on the deluxe album – they are new to us, but how new are they to you? Chess: Over the last year we have had an incredible time and we have experienced so much. There was basically quite a lot of other material that we felt could go with Wild Silence so when we were in Memphis; Marty Stuarts team, his sound team were experimenting with this new software and they said “We have recorded your whole show” and we were like “Cool”. So they sent it to us and we decided to put a couple of the live tracks from Memphis on the deluxe. We then have got a song on there called Run which is actually one of the first songs we wrote together, it is an early day song for us and then we have also got really new stuff as well. It is a real combination of our whole journey so far, from the very start to now. AJ: Yeah, we wrote Run at the same time that we wrote Devil. Tim: We also have a couple of re-workings of album tracks that we let loose a little bit with in the studio and came up with ridiculous ideas for different ways of playing it. We fell in love with two of them and thought we would put those on it too. Yes, I am looking forward to the alternate version of Wish I Could. Tim: Yes it is very perky haha. It must feel pretty cool to see the words LIVE FROM MEMPHIS on the record? Chess: Yeah it is amazing. I think we toyed with the idea of “Can we use this material?” Or shall we release a Live From Memphis EP ? but actually it kind of worked out that there were all these other songs that people might like to hear too. When you are gigging all year, the songs kind of evolve over time so it is nice to kind of revisit them and play them in a different way and we often hear them in a different way now. It is nice to experiment and explore all of that and be able to record it. AJ: It helps us to loosen up a bit as well especially live because we have got so used to playing songs a particular way. When we write together it can be quite formulated in a way, so to have the opportunity to muck around a little bit has given us the perspective and opportunity to look at our live game a bit more; ease off a little bit and mix it up on the night. It has been a nice learning experience from a live musician point of view. Ok, so let’s say you all had to be nicknamed like the Pistol Annies and Spice Girls – what would you all be ? Chess: What would I be? Chess: I would be Love Heart yeah haha and Tara would be…. Tim: Young Hearts Run Free maybe? Let’s talk Christmas – Have you done your shopping? Chess: Absolutely not, haven’t even thought about it. It will be the Christmas Eve dash. AJ: Yeah and maybe Amazon. Chess: I have actually ordered some stuff to arrive here. Yes, what is it I have seen recently? Don’t drink and prime. AJ: Haha oh yeah. That way though you get loads of unexpected surprises. Tim you are a father now? Tim: I am now yep. Tim: Thank you very much. So this will be his first Christmas? Tim: Yep, he is only eight weeks old so we are going to dress him up ridiculously and use it in the future to embarrass him. That is so cute and exactly what I did with my son haha. Any chance of Wandering Hearts baby/kid merch? Baby grow? Tim: Ha! My wife actually did kind of make one. She bought a big white one and did all the embroidery on it and did the logo on it and everything. It is very very good. Chess: We have got some family traditions: We spend every Christmas with my family and we go and buy the tree and it is always very traditional. We get new pyjamas on Christmas Eve; we still get stockings on the end of our bed. It is a very traditional Christmas in my house, lots of good food and lots of nice wine. AJ: Ours is the same really. Usually if I can, I go back to my folks. I usually have a few jobs to do like chopping the wood which I actually kind of like. Much the same, get the booze out, maybe go for a nice Christmasey walk. Chess to AJ: Do you carve the Turkey? AJ: Usually that’s my dads job. He is well particular about that stuff. He relishes the whole being a Scrooge too. When people come to visit he will be as miserable as sin as if he hates it and then he does his little jobs of lighting the Christmas Pudding, getting the alcohol ready and making sure everyone has a drink. He pretends to be glum as hell but he loves it. Tim: Much the same. We get home every year back to the Midlands and have as much family time as we can. We try and get the right amount of days before the arguments start and then head home haha. Just knowing the optimum amount of time before it all falls apart haha. We love Christmas, it’s really nice, particularly this year having the little one and spoiling him. We are thinking of a nativity scene where he is every character haha. Haha that will be so cute. Favourite Christmas Film? Chess: The Holiday. Oh no I take it back, White Christmas. AJ: Oh that’s a good call. I don’t know actually, there are so many. What’s my favourite Christmas film? Christmas Story is pretty good but that’s not my favourite. Tim: I am torn. One is very controversial; I love Home Alone. I was about to say that, Home Alone has to be there somewhere. Tim: I also love Love, Actually and then Die Hard haha, that’s a Christmas film right? Are we ever going to get a Christmas song or album from you guys one year? Chess: Do you know what? There are a couple of songs that we think could be quite good Christmas songs but maybe next year. There might be a Christmas cover around Christmas but maybe next year for our own songs. What have you got planned next? Back to America? Chess: We hope so. The New Year we are going to be hopefully straight back into gigging, recording the next album and hopefully spending more time out in the states and doing some more shows out there. You are forming quite the fanbase out there now so what do you think it is about yourselves that is working so well out there? AJ: A big part of it is probably the fact that we were lucky to have a bit of a foothold when we first landed with having Marty Stuart there to introduce us to everybody and warm the crowd up for us. Something, not exactly sure what it is, seems to be connecting out there and we have had two great trips. Hopefully more to come and that momentum keeps building. Thank you so much for talking today and I can’t wait to see the next show. Thanks so much Hannah, it was great to talk to you.